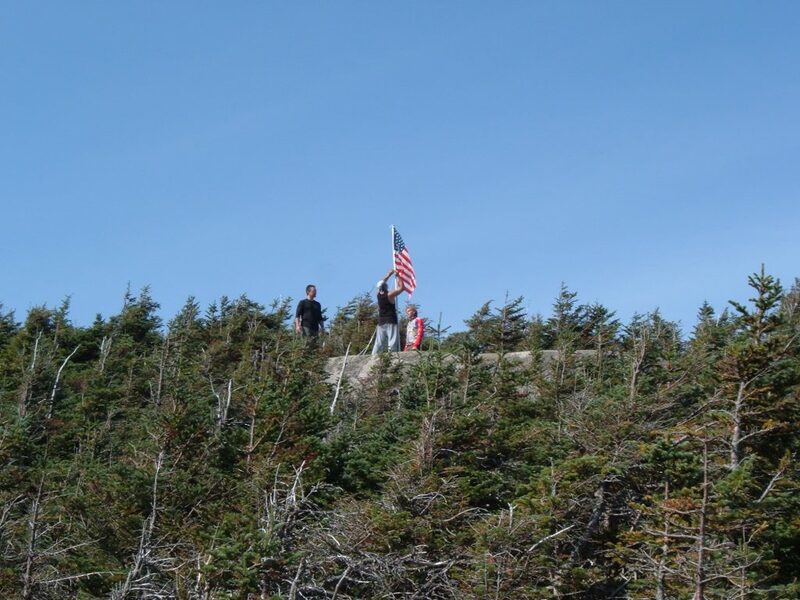 I decided to participate in the Flags on the 48 hike series this year in memory of September 11, 2001. I signed up to lead North Kinsman weeks ahead of time but never could get in touch with the coordinator so I put together my own mismatched team. A couple of people from local hiking groups, plus my dad, joined me in this journey. At about 8 am we took off through the Lafayette Place Campground, where the trail literally winds between people’s campsites. As we reached the first uphill trudge the group quickly began to separate. I took the lead with one other hiker as my dad offered up comic relief from the back. We had a friendly bunch and all got along well, so the pace was no issue. 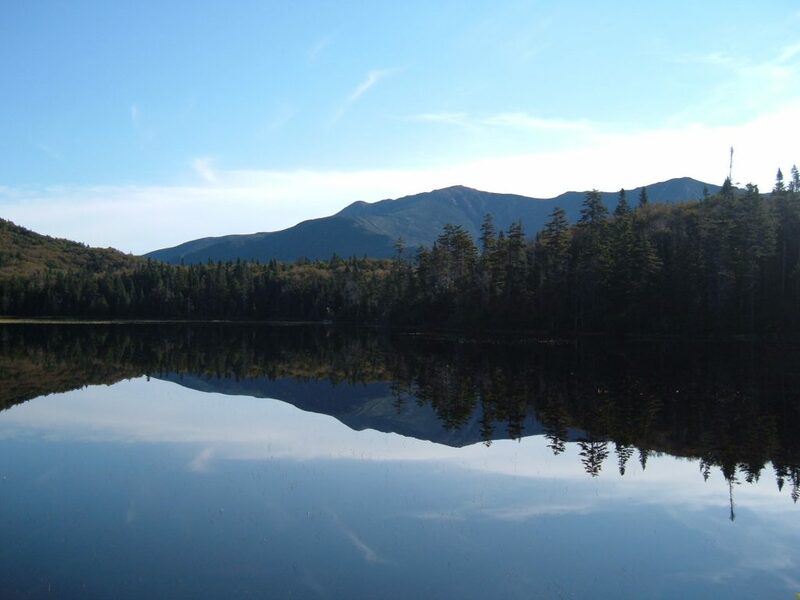 The trail steadily climbed to Lonesome Lake, where we picked up the Cascade Brook Trail. We followed the muddy trail on boardwalks around the lake and soaked in the amazing views. The sky was clear, the sun shining; it was going to be a beautiful day. We continued along, with occasional breaks to regroup and have a sip of water. The infamous Fishin’ Jimmy Trail that everyone seems to loathe was actually an enjoyable bit of trail that included lots of ups and downs. It wasn’t nearly as wet as some would have you believe, and the moderately muddy parts had planks running across them. There were even wooden steps drilled into some of the rock slabs. I thought it was quite a fun trail. We set up the flag using the telescoping rig that my dad created just for this event. Once it was set, he remained with his handiwork as the rest of the group walked over to tag South Kinsman. 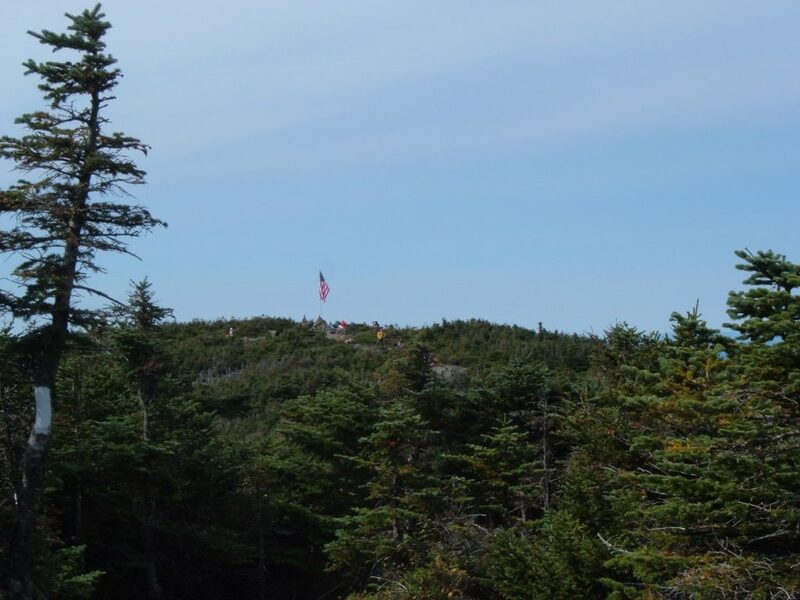 We admired our sister peak’s flag before returning to our own. After about 2 hours of lolling about on top, we broke down the rigging and cruised down the mountain. Nearly everyone shot sown the trail, leaving me in the dust. I’m not sure what got into those guys! This was a tremendous day with beautiful weather, great views, good company and a stellar event. I’m most happy that my dad was there to enjoy it with me. I knew this would be just the right event to get him out! 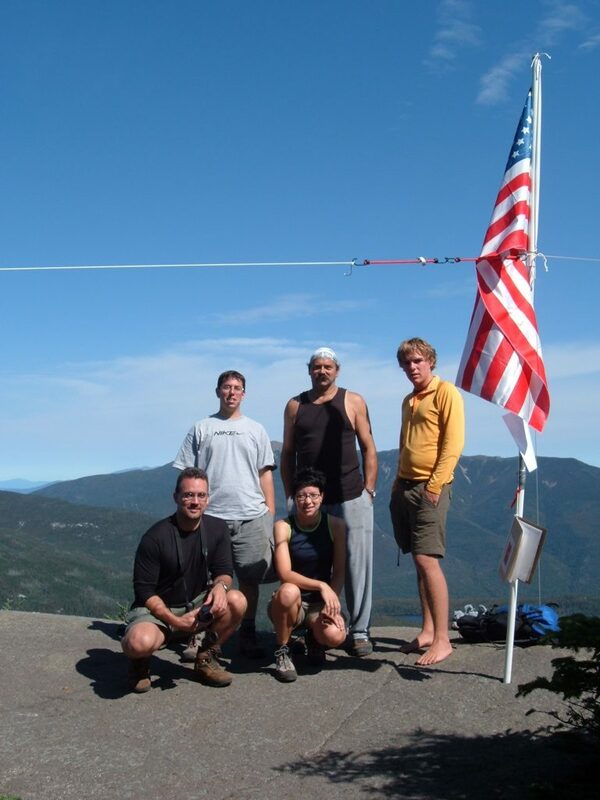 This entry was posted in Hiking, New England and tagged hike366 on September 11, 2005 by Jess B.